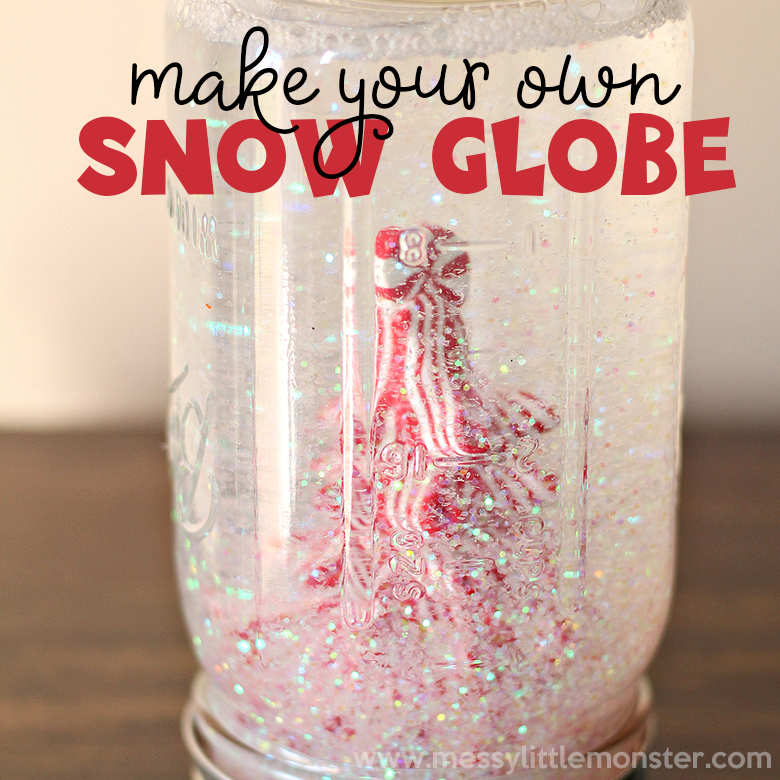 DIY Snow globe - the easy way! 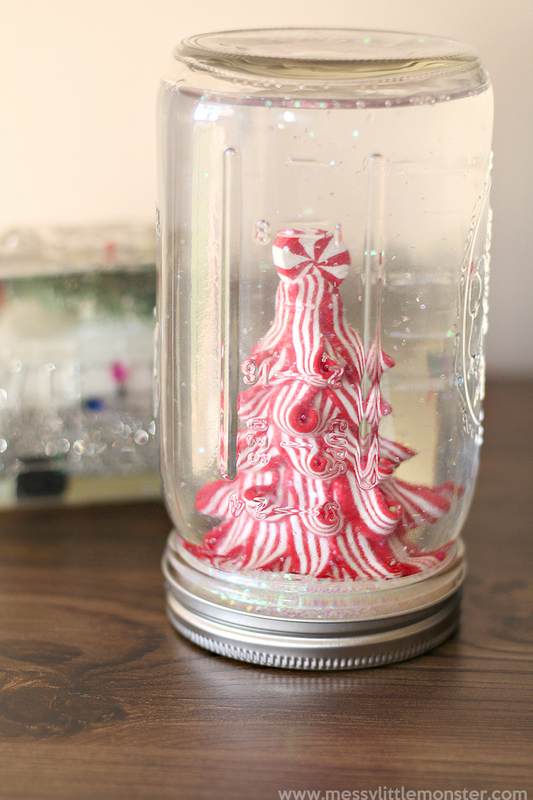 If you love traditional snow globes... you are going to LOVE this DIY snow globe project! 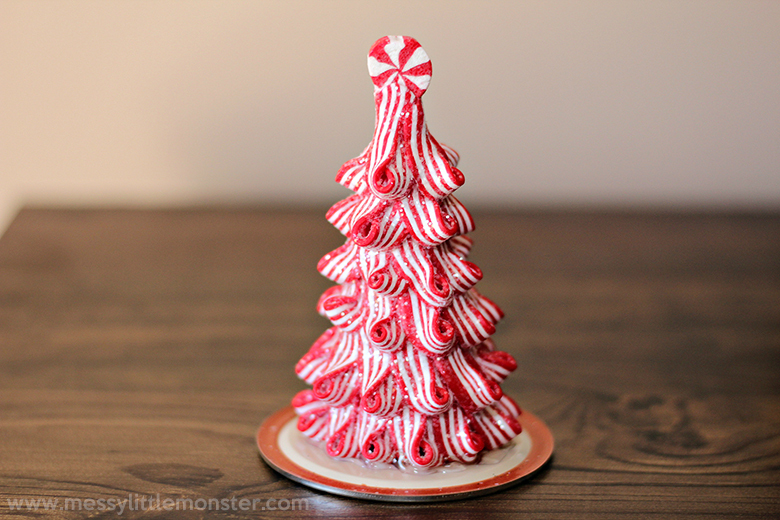 It's such a fun craft to do as a part of a Winter project or just in the spirit of Christmas. The kids will be mesmerized when they see how to make a snow globe of their own. It will be a winter craft that is appreciated for a long time! Follow the step by step directions below to make your own snow globe. If you're making this DIY snow globe as part of a winter project, why not snag a few of these books on our winter book list? We have lots more Winter crafts too, be sure to check out this easy homemade fake snow and this puffy paint snowman and poem craft! 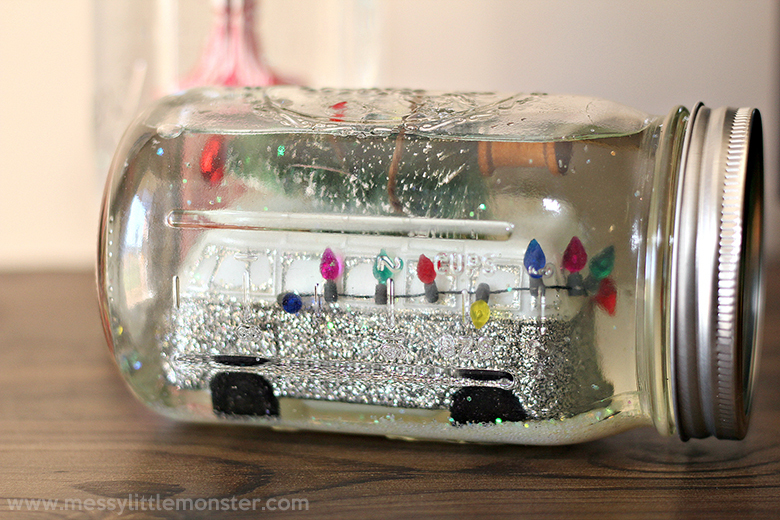 This DIY snow globe project is soooooo much fun for children. 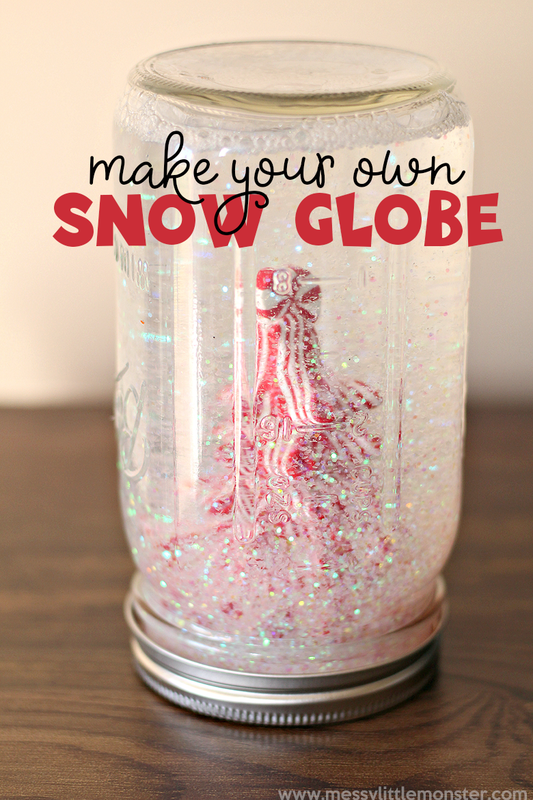 Their faces are sure to light up when they see how to make a DIY snow globe of their own! It's a great opportunity to talk about all things winter and even children as young as toddlers and preschoolers will love helping you put this one together! Scroll down below to make your own snow globe! Before you get started, gather up all your supplies for this DIY snow globe project. It's so much easier (especially with toddlers and preschoolers) when you already have everything ready. To get started, secure your ornament(s) to the bottom of the mason jar lid as shown below. You will need to use the hot glue gun. 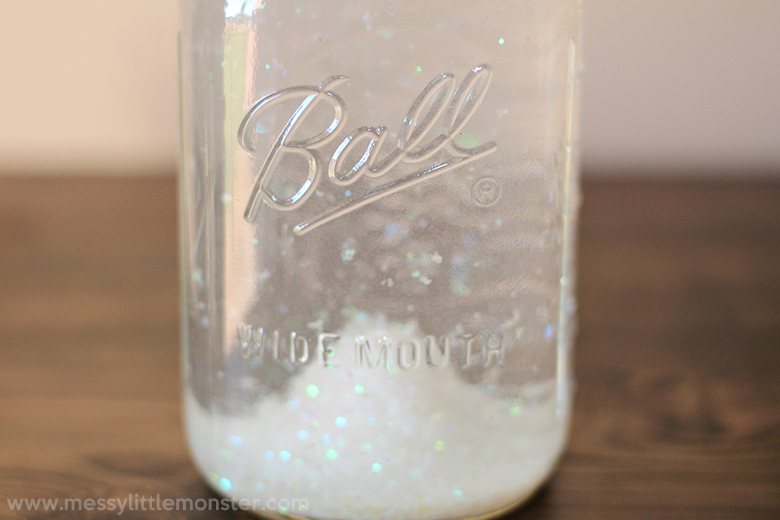 Next, pour the clear glue and white glitter into the bottom of the mason jar. Add more for thicker glitter solution, or less for a thin texture. Add the hot water and then stir well. Note: if the glue and glitter clump up, you can place the jar in the microwave for 30 seconds at a time until they are gone - stirring between each interval. 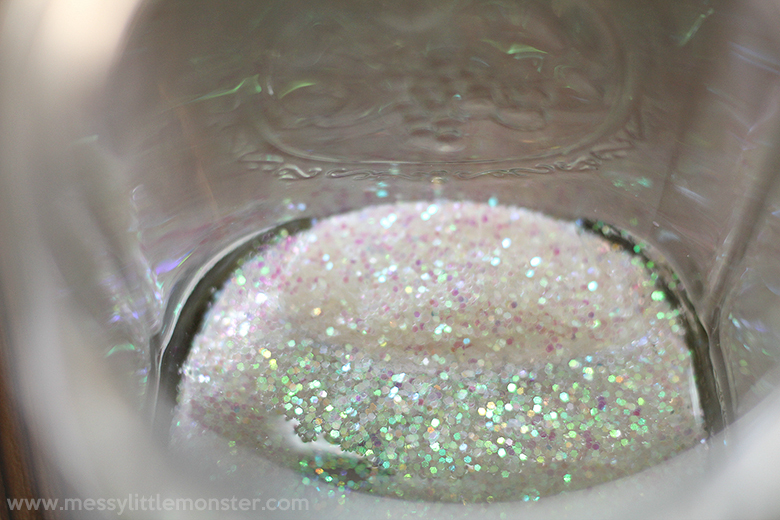 Once you've created the glitter solution, fill the jar up to the rim with water. Lastly, add hot glue to the inside of the jar lid and screw it on very tight before the glue dries. Let it cool in the fridge and then shake and enjoy the magic of snow globes! We hope you have a BLAST making these DIY snow globes. This is such a fun winter project to do with toddlers and preschoolers (and older kids too!) Watch their faces light up in awe as they see how to make a snow globe of their own. Now you just need to decide which ornaments you are going to use to make your own snowglobe. Maybe a santa ornament, little trees or even old toys! 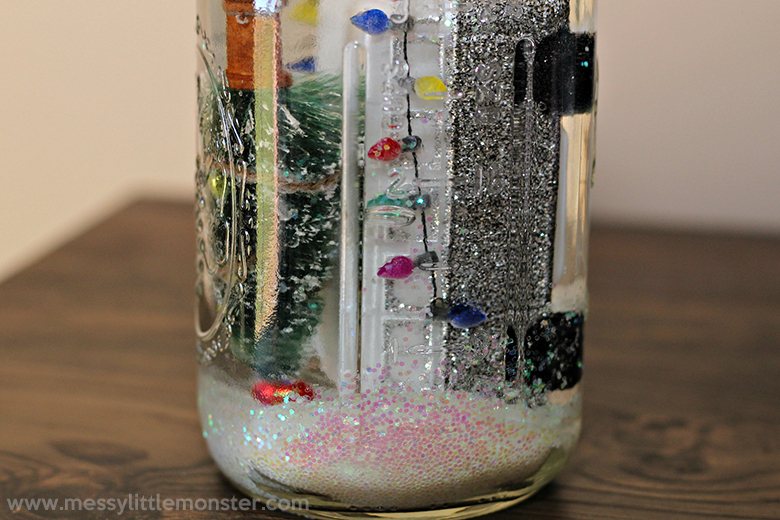 Making a DIY snow globe is such an exciting project!